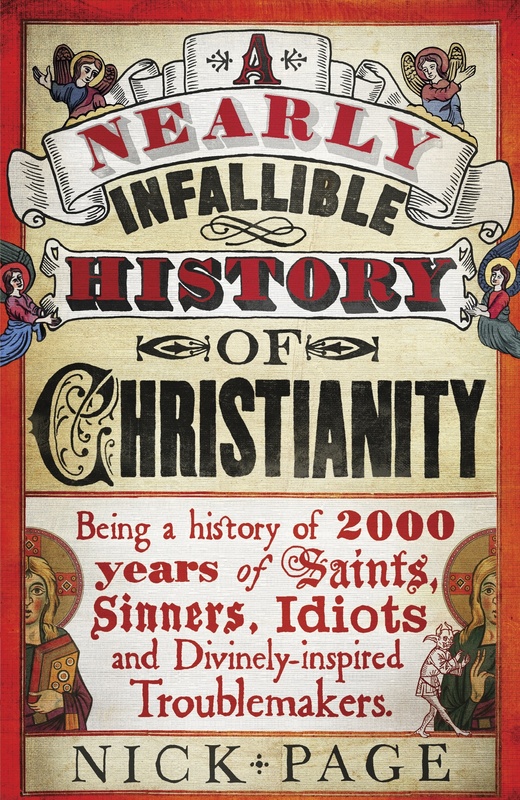 Accessible, informative, provocative and very, very funny, A Nearly Infallible History of Christianity is a history of the church for the rest of us. Why do Christians believe the things they do? Who wrote all those creeds? Who invented excommunication? Why is Christmas on the 25th December? What does the invention of trousers have to do with the fall of Rome? And was Pope John Paul I really named after one half of the Beatles? From Abelard to Zwingli, Nick Page brings you all the saints and sinners, holiness and heresy – not to mention several donkeys, one elephant and a prophetic goose. Combining in-depth research, searing historical analysis, and cutting-edge guesswork, this is the story of how the church survived, despite the people who led it. 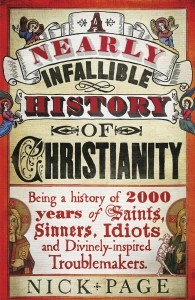 Here is everything you ever wanted to know about Christian history. And quite a lot you never realized you wanted to know. Not to mention some more stuff that you would rather not have known in the first place. It’s funny. It’s fascinating. It’s always informative. But, like the church itself, perhaps not entirely infallible. “I was predestined to read this.” John Calvin. “I felt my heart strangely warmed. Or it could have been indigestion.” John Wesley.